So called eco style homes have in general been more expensive that the traditional ones that we have seen built over hundreds of years, but now, it appears, house buyers say that they would be prepared to pay more to get one. There are a number of excellent expressions in use today and one of these is “location, location, location” and according to house hunters this expresses their feeling when it comes to an ideal home. It is not often that parties in Parliament put aside their differences, but a recent poll has shown that it can be possible as 81% of MPs say they support the build to rent sector and the contribution it makes to the UK housing supply. Significantly 62% believe that it will make a much higher contribution in the supply of housing in the next five years. The figure released show that the measures have the support of 71% of Labour MPs and 91% of Conservatives. Bridging loans were traditionally a means to complete the purchase of a property when the completion dates between the new purchase and the property being sold did not coincide exactly, and they were designed to be on a short term basis, usually with a very high interest rate added. It has to be good news that more than 143,500 new homes were started in England last year, this is an increase of 6% year on year, and we can report that it is the highest level seen since 2008, in fact nearly double that year which was a low point. Whilst the figures are very encouraging and is what the government and house hunters need, there is still concern about the slowness of the planning system. A new analysis by thinktank The Resolution Foundation, has found that the current hosing problems facing young first time buyers is not going to improve unless some drastic action is taken. They suggest that nine out of every ten Britons who are considered to be on modest incomes, at 10% to 50% of the national average wage are the ones who may never be able to afford to buy a home. Within the short space of fifteen years the number of million pound properties in the UK is expected to triple and unsurprisingly 25% of these will be in London. 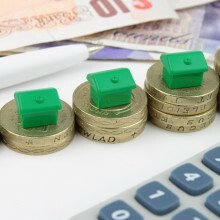 A new study by Santander Mortgages has shown that by 2030 the housing stock in the capital will see one in four properties valued at more than a million pounds. That is an average of course as in two London boroughs the number of properties at the million pound mark will be over 70% which illustrates the growing geographical divide. The all-time low interest rates affect people in different ways, for savers it means that they are getting virtually no return on their savings account, but for those takin out a mortgage it can mean that they are making lower monthly repayments making their home purchase affordable and have more available money. Call it supply and demand, or market forces, but the result of any shortage is usually an increase in price and the property market is not immune from this. The shortage of property being put onto the market in England and Wales has resulted in prices that keep rising.